Feeding the Eye: What's for lunch? 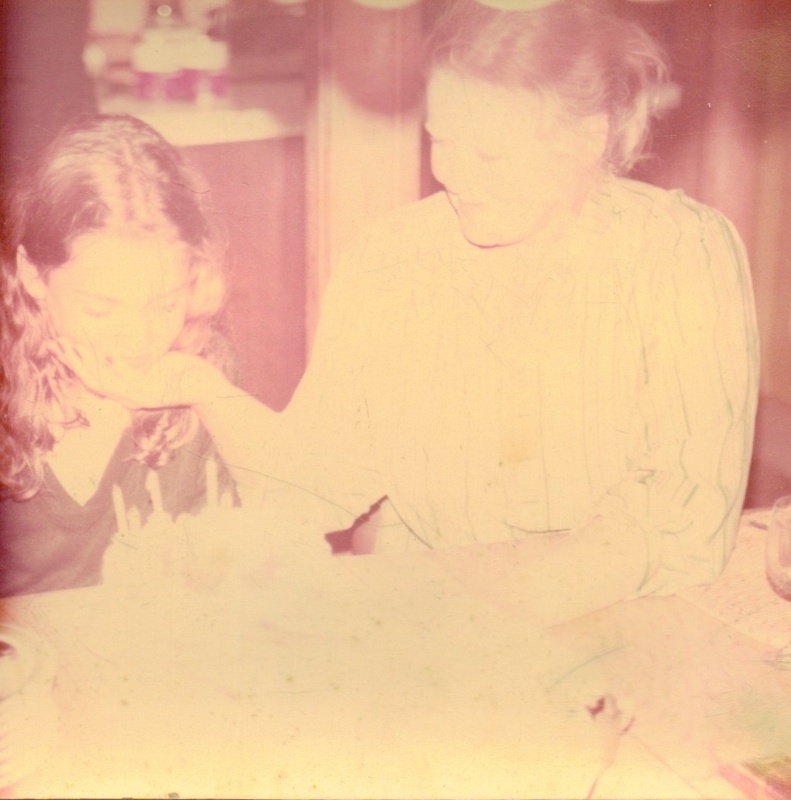 A faded photograph of a universal scene mother and daughter, birthday cake - the anticipatory moment before the candles are blown out. The cake, the choice of a favourite meal, maybe steak and homemade chips with rosemary, a chance to influence on your own special day. Food is the ritual through which we mark celebrations - the sharing and coming together of friends and family united by occasion and appetite. A special meal where all are suitably grateful but what about all the other meals? Not the grand gesture of the occasional cook who breezes in to announce in a tone of simultaneous self-congratulation and sacrifice that - "Tonight I'll cook you supper" but the every day provisioning of a family. My mother cooked day in day out, usually for eight - four children, grandma, nonno, my father and herself and then there were the pets - three dogs, a cat or two, hamster, canary...but that's another story. My father, as the Sicilian, is often seen as the inspiration behind the family's love of food but my mother whose unsung invisible hand provided the endless meals is the true influence. Food is far more than sustenance and keeping a large family fed is a task which many of us rarely have to contemplate as the extended family has become more rarefied. Now as I shop for my family of three I'm constantly amazed at the quantity of fresh food we consume, the endless trawling home of food procured from market or local shop. My mother did not drive, she had some help managing a large back garden planted with a variety of fruit trees and vegetables, peas, broad beans, strawberries, gooseberries and an especially large dual use apple tree, a Mary Barnett, outside the back door. In a family kitchen helping hands are seconded to peel vegetables, clear away, wash and dry up. But the real task requires a sophisticated imagination and logistical organisation to deal with the complex dietary foibles of an octogenarian nonno, an orthodontically challenged grandma and four small children, and of course a rather exacting patriarch. My mother was fortunate in some way that at school we had very strict ascetic rules regarding food - whatever was taken on your plate had to be eaten - this set us in good stead for home where the same exactitude was in play. My mother soon adopted a wide Italian repertoire, taking on the more time consuming dishes my father would not consider. Traditional English was also included as were a variety of her own variations of continental classics. Her only respite from the grinding monotony was on a Saturday when father would cook lunch, usually a plate of pasta, and grandma would bake. The egocentric nature of children meant we took the care bestowed upon us for granted - the hours they spent toiling to keep us healthy and satiated. So now, when opportunity arises they sometimes let us return the compliment. My father is still exacting in his likes and dislikes but my mother is wonderfully gracious, complimentary, delighted even - just have someone else take care of what's for lunch.